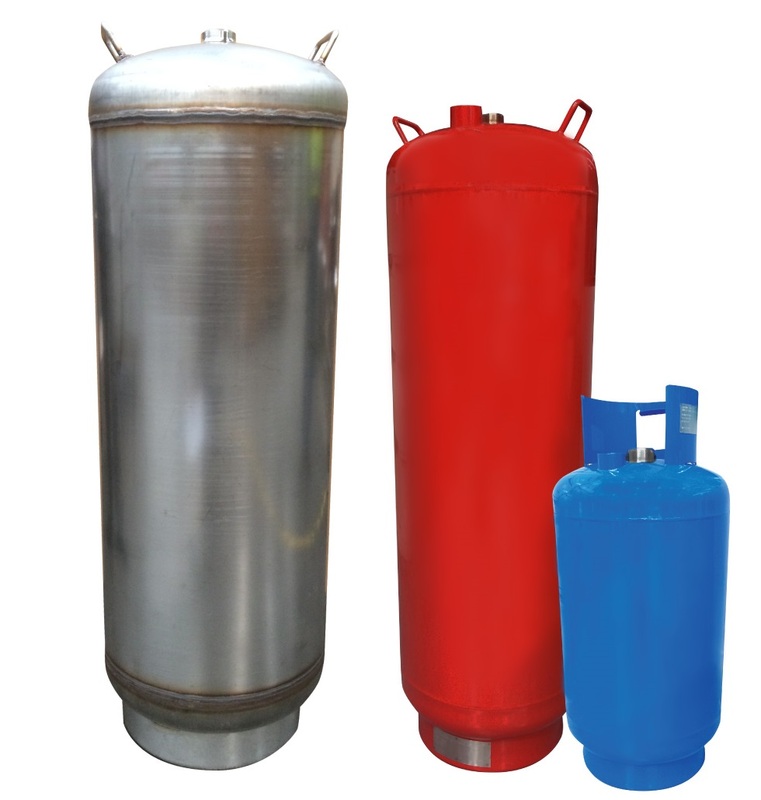 STPV manufactures a range of large capacity fire extinguisher pressure vessels. These vessels are used in mining, marine and forestry vehicle foam and water mist fire suppression systems. The fire extinguisher cylinders are powder coated in signal red and blue options (other colours available on request) and form the back bone of the proprietary fire suppression systems worldwide. All STPV fire extinguisher cylinders are a serially produced vessel to AS3509, enabling a low cost structure and are all approved with statutory authorities in Australia and many over seas jurisdictions. Standard sizes are 45L, 65L, 80L and 106L, although they can also be manufactured to custom options to suit specific fire suppression systems. The STPV fire extinguisher cylinders are manufactured from temper rolled stainless steel grade 304, a lighter weight option than thicker stainless materials. All cylinders are tested in accordance with AS2030 & AS2337.